The Leap Motion Controller officially launched on Monday morning, and hundreds of thousands of new device owners have taken their #FirstLeap into 3D interaction. We’re continuing to ship kits worldwide, and everyone here at Leap Motion is working around the clock to process orders and provide support to customers and developers. On Monday, as part of our launch, we opened up Airspace and the Leap Motion software for everyone. We’re continuing to ship devices around the globe, with regular updates being posted on the Leap Motion blog. With 77 apps currently in the Airspace Store, we’re looking forward to building on the Leap Motion experience in partnership with our developer community. If you've received a new Leap Motion Controller, we'd love to hear about it. Follow us @LeapMotionDev and tweet about your experience with the hashtag #FirstLeap. Over the past couple of weeks, we’ve seen great ongoing discussions about our OS interaction apps, with supportive posts and constructive criticism. 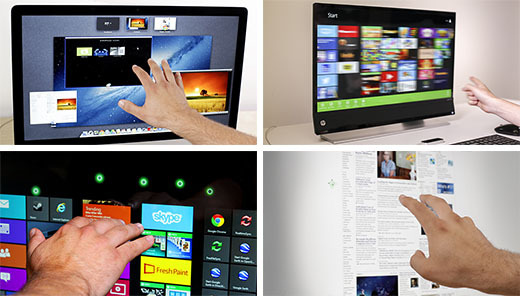 With Touchless for Mac and Touchless for Windows now available on the Airspace Store, these free apps start to bring Leap Motion control to traditional OS interaction. We’ve also heard from many developers interested in creating their own OS interaction apps. We appreciate your feedback, and we’re open to including multiple OS apps on Airspace. This would allow us to deliver more variety, so that anyone interested in trying OS control can select their preferred experience. We’re focused on providing an innovative platform for our community to create applications built for natural computer interactions, and we can’t wait to see what you’ll build next. We've posted a range of assets useful for promoting your Airspace app on your website, including our Airspace badges, Leap Motion logo, and a selection of approved product shots. Please review the included App Asset and Marketing Guidelines document to see further information on how to use these assets. Download here. Leaping Without Looking. 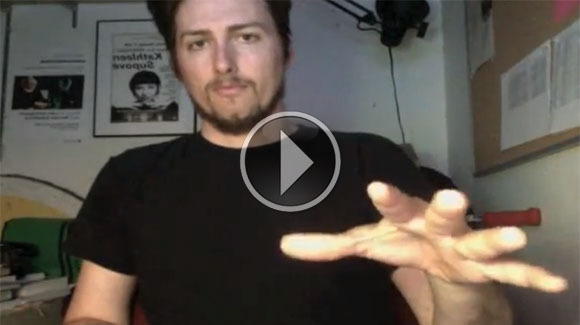 Musician and musical interaction designer Langdon Crawford asks how can we develop applications for the Leap Motion Controller that don’t require constant visual feedback. Leap First Person Look. 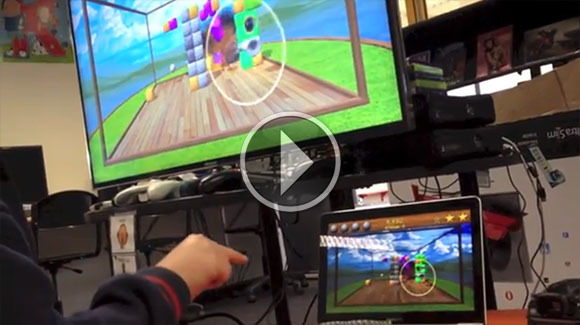 Pohung Chen showcases his quick and dirty Unity demo showing how you can use the Leap Motion Controller as a mouse replacement for looking around in a traditional first-person control scheme. 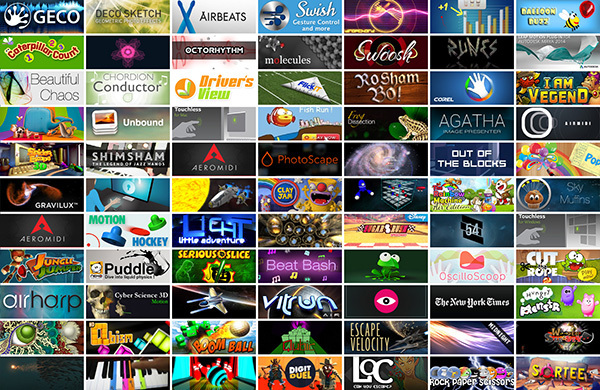 With devices continuing to ship, thousands of new developers are now beginning to create and test Leap Motion apps. For community support and feedback, you can share your projects and sample code on the Projects and Collaborations forum. logotype has created his third language wrapper for the Leap Motion SDK. Alongside ActionScript3 and CoffeScript, he's now providing support for Dart. Paper Football FlickIT co-creator JimBoyte has asked for the community’s thoughts on how to help players hold their fingers steady with visual feedback. Lots of people have been inspired by the possibilities of learning through 3D interaction, including primary-school educator Mathieu Maruncyzn. He recently posted on his blog with his students’ thoughts on a variety of Airspace apps, as well as some recommendations for making software accessible to children. In preparation for next year’s South by Southwest (SXSW), the festival is calling on developers to upload proposals for panels, solo presentations, and workshops. You can make your proposal on the SXSW site. Simon Kenny is giving a demonstration of his new Csound opcode library, Leap Into Csound. You can RSVP on his forum thread.